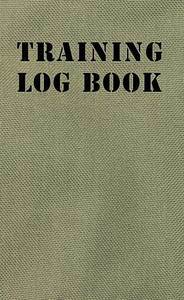 The Training Log Book and Collected Essays on Training is a unique hardcover book designed to provide an organized way for you to document your training endeavors. The Log Book pages space for over 50 courses with designated areas for information such as date, location, topics covered, cost, equipment used, instructor comments and classmate contact information as well as space for your own notes, diagrams or even a class photo. In addition to space for your own writings, this book contains over 2 dozen essays from training industry professionals offering their advice to you in regard to defensive and tactical training. With a Foreword by Ken Murray, author of Training at the Speed of Life and featuring essays on Efficiency andThe Warrior Expert Theory by Rob Pincus, The Training Log Book also features contributions from Clint Smith, John Farnam, Tony Scotti, James Yeager, John Meyer and several other top shelf instructors! This book will be a long lasting and valuable addition to your training library! Please visit the I.C.E. Training Store for purchasing information.